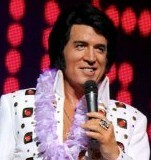 The Magic of A Gospel Christmas featuring The Blackwood Quartet with Doug Church as ELVIS. 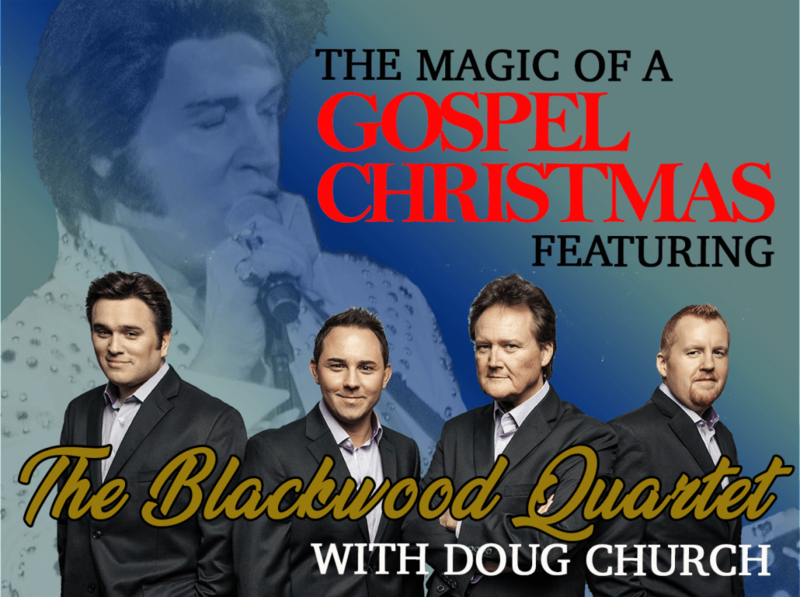 The Palace Theater is proud to present for the first time, the beautiful harmonies of the Blackwood Quartet and the amazing talent of Doug Church as Elvis, in an original Christmas Gospel Extravaganza! 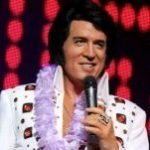 The Magic of Christmas is captured in this remarkable gift of sight and sound from the 9-time Grammy Award winning Blackwood Quartet, with their esteemed guest Doug Church– “The True Voice of Elvis”. This very special performance features the Gospel side of Elvis and all of your beloved Christmas songs. You will hear all of your gospel favorites sung by the Blackwoods and Elvis, as well as the Christmas classics that you know and have loved throughout the years. The Magic of A Gospel Christmas is guaranteed to warm your heart with all of your cherished Gospel Hymns, Christmas carols and many more!!! Don’t miss this amazing journey through Gospel music with a revered Christmas Theme! followed by chef’s famous tenderloin medallions and accompanied by a garlic encrusted baked potato and steamed vegetables.